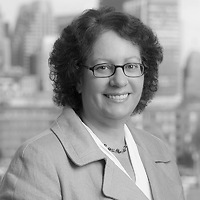 Beth H. Mitchell, a partner in Nutter’s Real Estate and Finance Department and co-chair of the firm's Commercial Finance practice group, will present on the “Let's Get This Project Built — What's the Market in Construction Lending Today?” panel at the “Intermediate Real Estate Financing” webinar on March 30. The panelists will focus on how construction finance requires an understanding of the project and the issues that concern the developer, as well as the lender’s concerns and ways to mitigate the lender’s risk. The series, co-sponsored by the American Bar Association (ABA) and the American College of Real Estate Lawyers (ACREL), is specifically designed for attorneys with basic experience in real estate financing who want to expand their knowledge. The speakers consist of ACREL Fellows who are leading industry practitioners with in-depth knowledge and hands-on experience in real estate law.